"Skrinkle Cove"- John Brett . 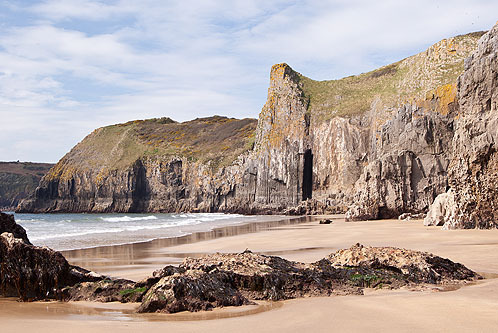 A view on Lydstep Caverns Beach . Apart from the rock in the foreground , this view is similar to a Painting titled - "Skrinkle Cove" (1879), by the renowned Landscape Artist - John Brett (1831-1902) , a painter associated with the Pre-Raphaelite movement . Brett painted a number of views on the coast during a visit to Tenby .